Bugs and Snakes – If You’re Really Hungry! Every culture has its own prejudices concerning what foods it will and won’t eat. In some oriental countries snakes and cats are considered a delicacy, but cheese is considered disgusting. In certain parts of Mexico exotic dishes are made out of the fungus that grows on corn, and many Native American tribes ate raw liver and boiled dog but would have been horrified at the thought of eating fish or pork. If you are living off of the land, however, you must put aside your food prejudices and take advantage of whatever is available that will keep you alive. Yes, even creepy-crawly things. You might be surprised at how tasty some of these critters really are if you will just judge them by taste and not emotion. 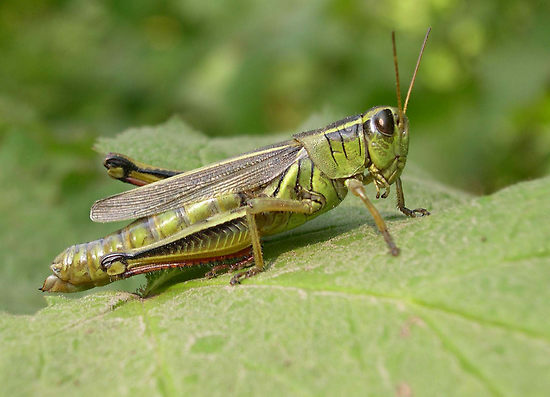 Grasshoppers are an abundant source of protein. In many native cultures they are a regular part of the diet. The best time to hunt for grasshoppers is in the cool of the morning when they are lethargic and easy to catch. You can walk around with a bag and pick them off of foliage as easily as picking berries. When the sun warms them up they are considerably harder to catch, in fact you may burn more calories trying to run them down than you will gain by eating them. To prepare grasshoppers for consumption you should remove the wings, legs and head. You may cook grasshoppers by roasting them on a heated flat rock, or by skewering several of them on a sharpened twig and cooking over an open fire. Always cook grasshoppers in order to kill any parasites that may be living in the insect’s digestive tract. Cooked grasshoppers do not taste bad. I think they taste a little like filberts or brazil nuts. I personally like them with a little honey on them. I understand that this is also how John the Baptist preferred his grasshoppers. 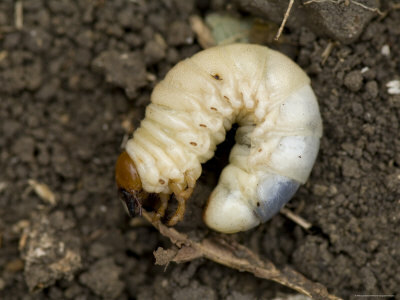 Grub worms are disgusting to think about, but in truth they don’t taste bad at all. To prepare grubs just pinch of the yellow head (I don’t think there’s anything harmful about the head, but it is kind of bitter). The only time I have eaten grub worms, we roasted them in a skillet with a little salt. They swell a little as they cook and the outside turns a light brown. I thought that the grubs tasted like lobster. They are a good source of fat, which is the hardest food substance to find in the wild. 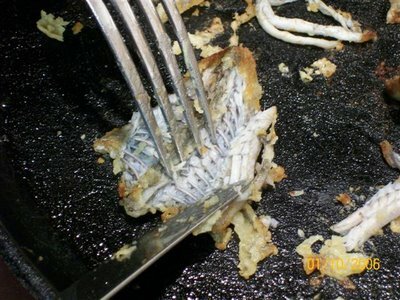 Many people have eaten snake meat as a novelty, and you have probably heard that it tastes like chicken. I guess that it depends of what kind of snake you are eating. I have eaten banded water snakes, rattlesnakes, copperheads, and water moccasins and I really didn’t think that any of them tasted like chicken. The snakes that I have eaten seemed to have fairly stringy meat (maybe a little like dark meat turkey) and a lot of bones. Water moccasin, which is my least favorite, has a distinctly fishy smell. But if you are hungry, which I was on at least one of these occasions, a snake can taste pretty good. A friend of mine who went on an extended desert survival trip said that small lizards were his most consistent source of protein. I have never tried a lizard, so I can’t vouch for their taste; but I guess if I were hungry enough they would taste pretty good. 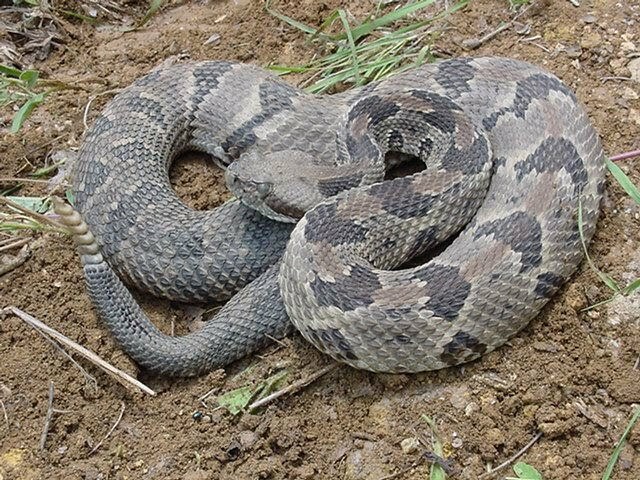 Like the old mountain men said, “Meat’s meat.” One word of warning, don’t ever eat the meat of a poisonous snake that has bitten itself. I have heard on the one hand that cooking will kill the poison, and I have heard on the other hand that people have died from this. My rule is don’t take unnecessary chances.